Well crafted, made of neat and small stitchwork. 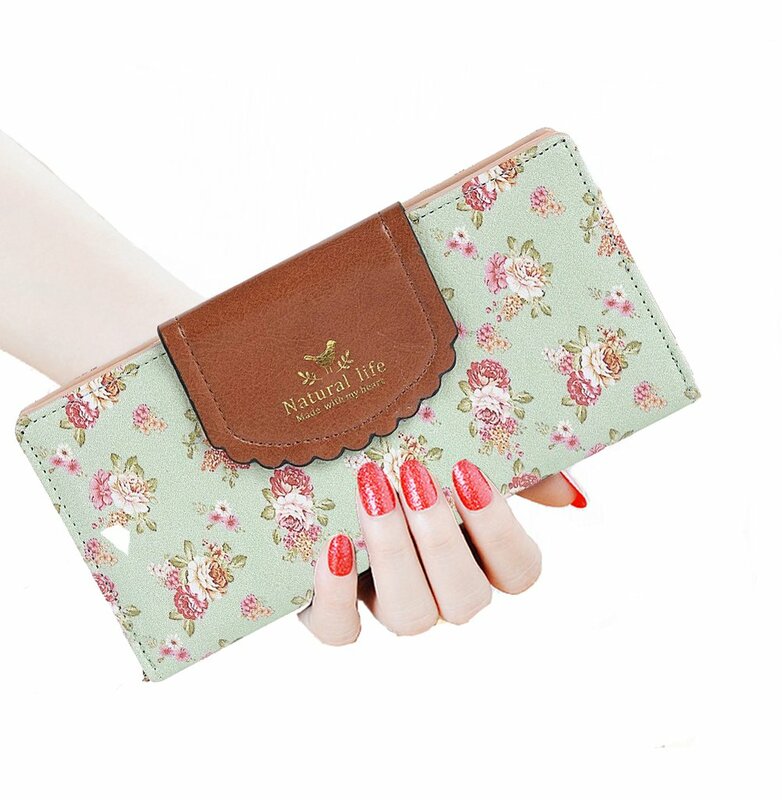 The size is 7.5*3.7*0.8 inches. 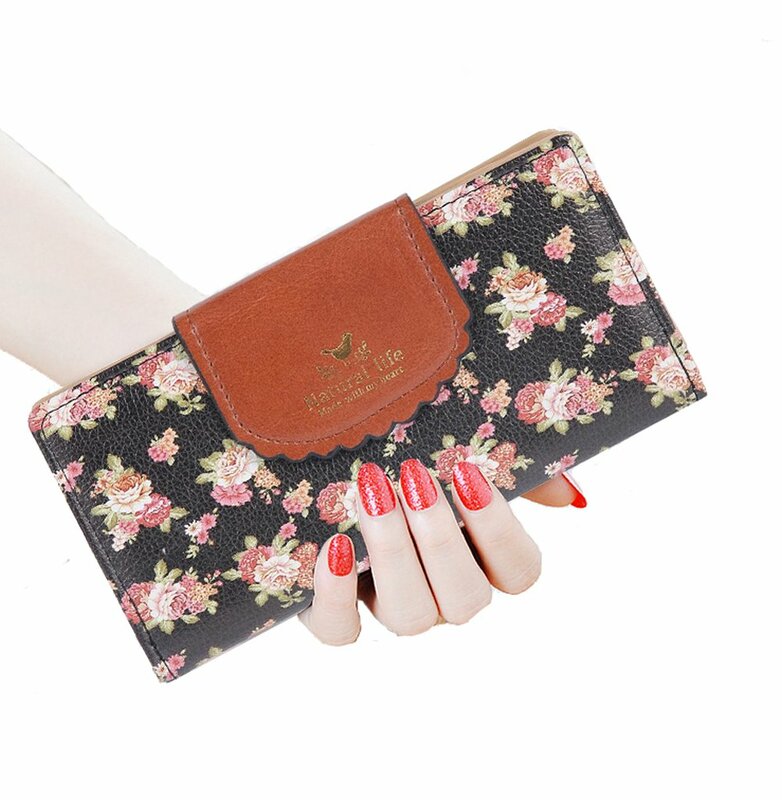 Floral designed faux leather to build up sweet style, this wallet is a nice gift for girls. 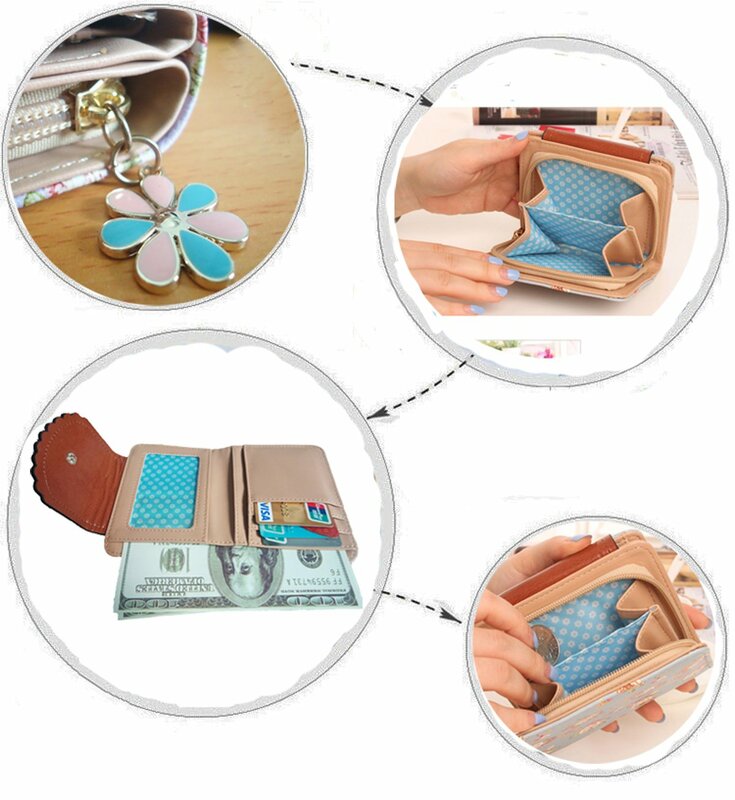 11 slots, one zipper compartment, and 4 length compartments, perfect for cash, checks, lists, etc. 1. Slight color difference could exist due to the lighting effect in the photos. 2. 1-2 cm size difference may occur as all the measurements taken by hands. My daughter loves her purses and is always looking to add to her collection. 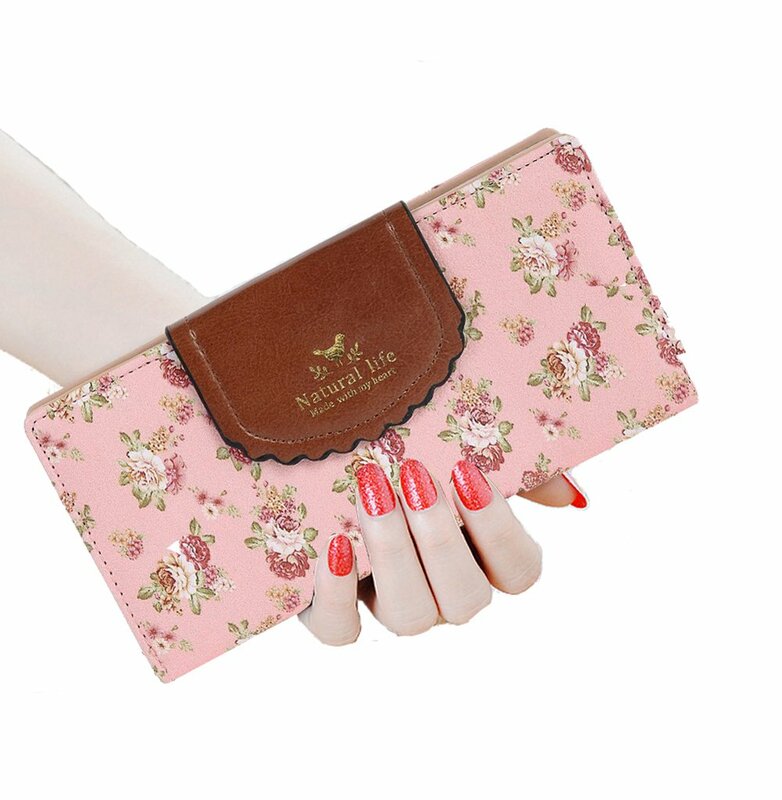 I chose this as the design is pretty and goes with any outfit. Good size, holds plenty and lots of compartments. One happy customer .